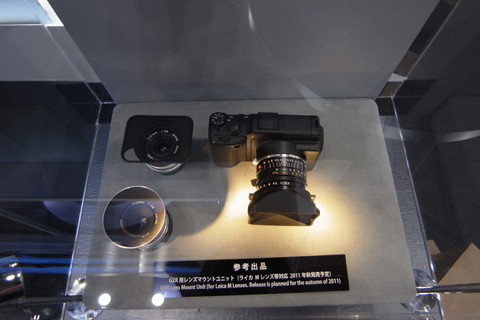 A mock-up of a Leica lens unit for Ricohu2019s GXR camera system has gone on show at the CP+ Photo & Imaging show in Yokohama, Japan. 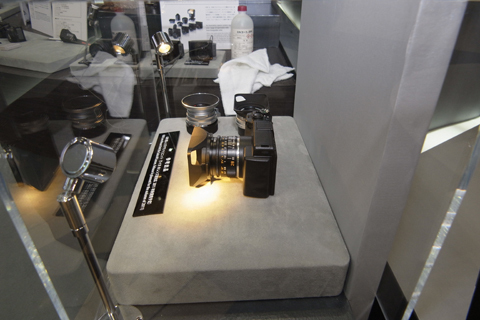 A mock-up of a Leica lens unit for Ricoh?s GXR camera system has gone on show at the CP+ Photo & Imaging show in Yokohama, Japan. 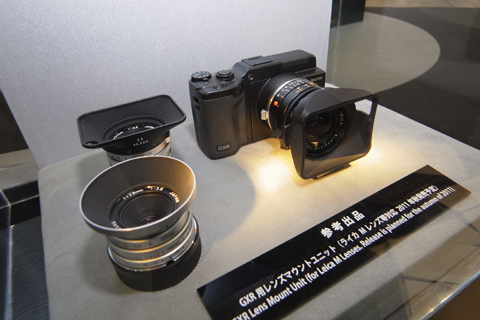 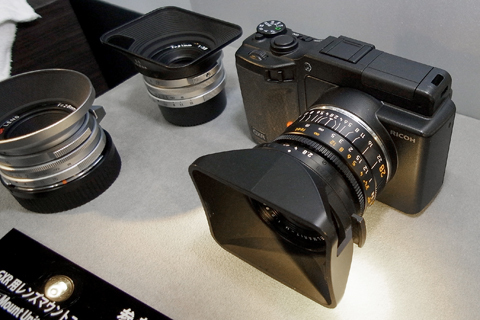 Ricoh announced the development of a Leica lens mount unit for its GXR camera system earlier this month. 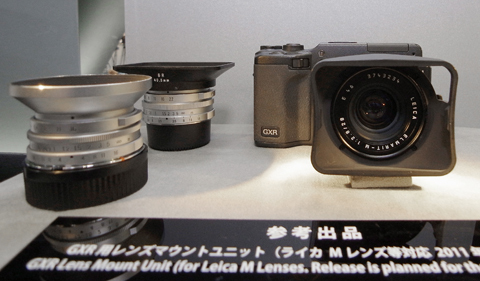 Planned for release later this year, the unit will allow photographers to use Leica M-mount lenses on the GXR. 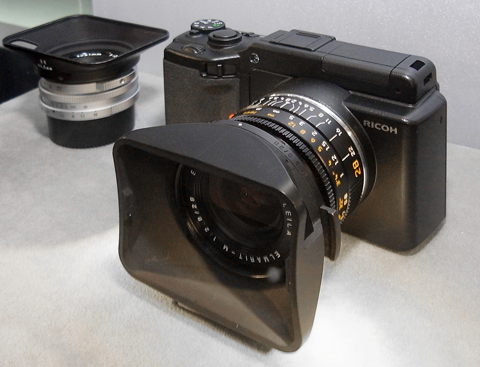 It will feature a newly-developed focal plane shutter and is being displayed behind glass at CP+ with Ricoh’s existing 28mm and 21mm M-mount lenses.